Treatments are available Mondays and Wednesdays in Secrets Boutique Salon, 1 Market Square, Daventry, NN11 4BH. 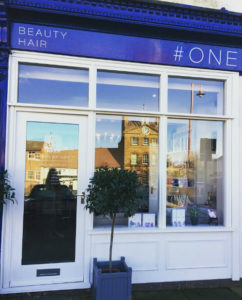 Situated in a beautiful Grade II listed building on the Market Square in Daventry, Secrets is the perfect destination for all your hair and beauty requirements. To find out more about the range of treatments offered at Secrets, click here. Treatments are available Fridays between 11:30am and 5:30pm at Temple of Yoga Studio, Ground Floor Coach Mews, London Yard (off Parson’s Street), Banbury. There is plenty of parking around the town centre. Tuesday and Wednesday evening yoga classes are located at Daventry Methodist Church, 6 Golding Close, Daventry NN11 4FH. Thursday evening yoga classes are located at Watford Village Hall, Station Road, Watford Village, Northamptonshire NN6 7UY. For more details, visit the Yoga page. Mobile pre and post event massage is also available for your sports club or event. We are also happy to work with local businesses offering postural assessments and massage in the workplace. Please contact us for more details and pricing.